Not all meditation cushions are the same. Discover the many different cushion stuffing options as well as the 5 main types of meditation pillows here. 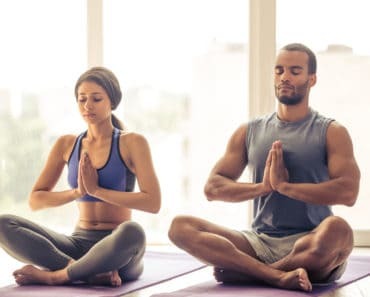 From the balance between the mind, body, and spirit to the ideal positioning of the spine and joints, the concept of alignment is central to practice of yoga. 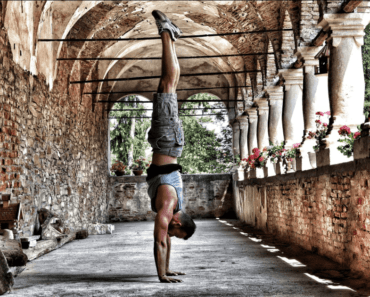 While your own understanding of perfect alignment will differ based on your body type and the style of yoga you’re attempting, there’s one basic principle that applies universally – establish a strong base and everything else will follow. Of course, when you’re dealing with the constant pinching and cramping that comes from holding an unfamiliar pose for minutes at a time, it can be difficult to focus on the straightness of your posture or the placement of your hips and knees. That’s where meditation pillow come into play. 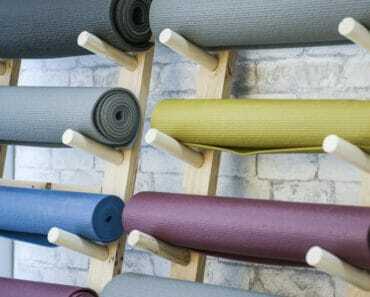 By integrating a purpose-built cushion into your routine you can reduce your risk of injuries and unlock the full benefits of any yoga session. 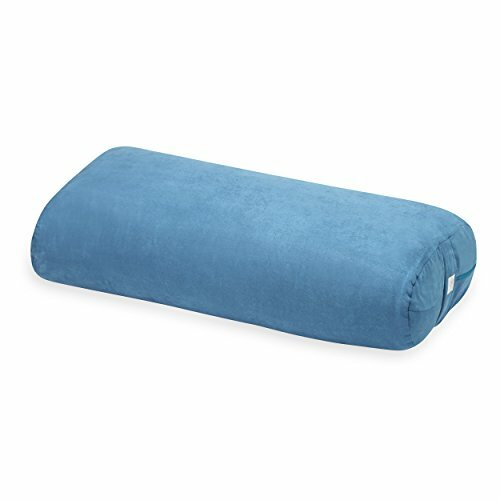 Which Meditation Pillow Should You Choose? The type of poses that you are attempting. Does your yoga routine involve a full lotus, a half-lotus, or prolonged kneeling? The flexibility of your hips, ankles, and knees. As a rule of thumb, the less flexible you are the more height you will require from your cushion. Comfort is perhaps the most critical contributing factor. 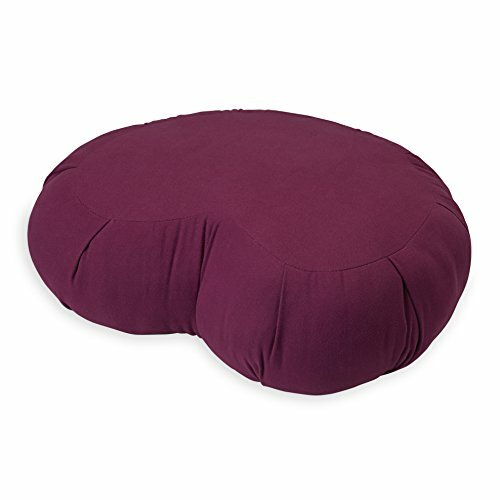 Meditation pillows come in a range of materials that differ in terms of firmness and malleability. 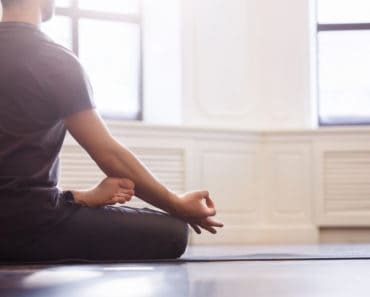 Keeping these criteria in mind, we’ve assembled a detailed breakdown of some of the different types of meditation pillows that you will find on the market. In terms of stuffing, you can find meditation pillow that contain a number of different materials. Buckwheat hulls: Buckwheat hulls are organic shells that provide a softer, flexible base for users. Cushions filled with this material have been compared to beanbag chairs in that they will conform to the shape of your body. Kapok fibers: If you’re looking for stability then kapok fibers are an ideal choice. Kapok is a naturally occurring fiber that contains antimicrobial and antifungal properties. As a common substitute for silk, this material offers good strength and durability. Practitioners will find that kapok-stuffed cushions hold their shape well over time with only slight compression visible after prolonged use. Wool: Wool is a more lightweight alternative to kapok that is prized by Yogis for its energy-insulating properties. Wool cushions also tend to be extremely comfortable, although they will be softer than kapok pillows. Other materials: Other commonly used materials include polyester, cotton and air. The main types are broken down into Zafu, shape and other features such as foldable. Here they are. 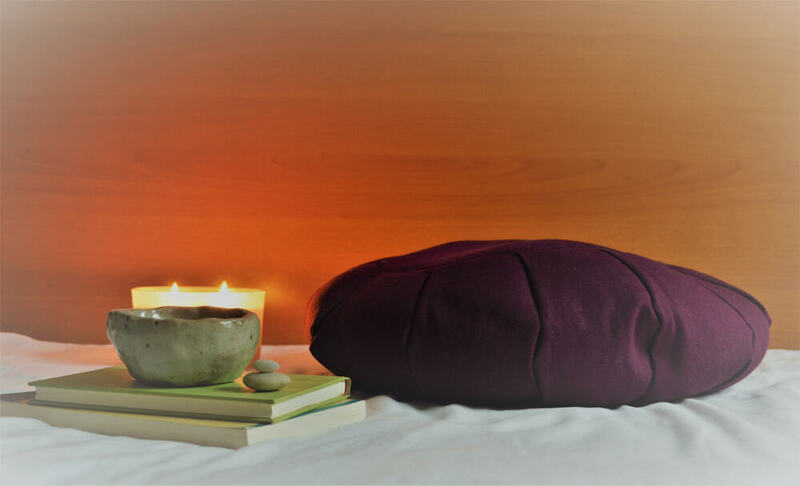 Zafus are perhaps the most traditional style of meditation pillow. Originally created in China, these pillows have since become a fixture of Japanese Zen meditation. The zabuton style has an elevated section for more comfort. The most classic style of Zafu is the round pleated design. The practitioner seats themselves on the curved edge of the cushion and lets their legs fall off which creates a natural slope that’s extremely conducive to sitting cross-legged. If you’re struggling to shift your hips and knees into a natural arrangement from this position then you can take up your pose at the center of the cushion. While this will provide you with some extra height, the loss of stability may make it difficult for you to hold your pose for extended periods. The softened corners of the Zafu also ensure that the inner thigh is protected against irritation. Most of these pillows are around 4 to 6 inches in height. The crescent shaped pillow provides a wider base for the hips and thighs, and is thus ideally suited to individuals with limited mobility and chronic lower back or knee problems. The natural slope of the pillow also encourages alignment, as practitioners will not need to maintain a specific position on the cushion to ensure proper posture. 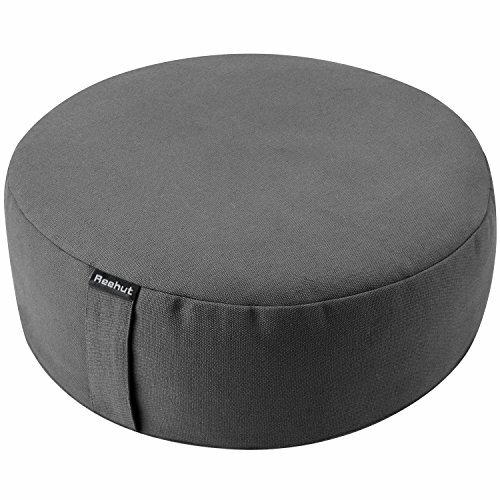 Like the rounded Zafu, the crescent pillow offers good support for the knees and ankles. However, taller practitioners may find that their knees remain elevated when using seated on this type of cushion, in which case they would better served by a pillow with more lift. 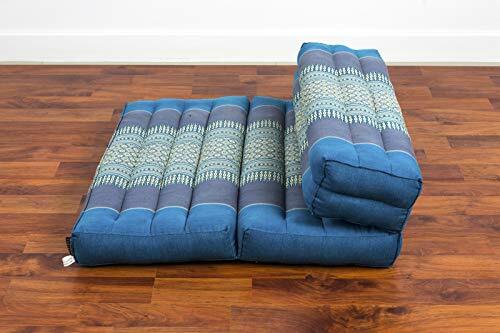 If you’re a complete novice, then you may be best served by the rectangular meditation pillows. While these pillows are around the same height as normal rounded cushions, they are also fuller and thus more stable. Anyone who struggles with stiff hips and a general lack of mobility will be helped by this shape. However, the rectangular cushion does not provide the same knee support as other pillows. This particular round cushion is filled with buckwheat hulls. You can choose between a hemp or cotton cover, which is removable and washable. 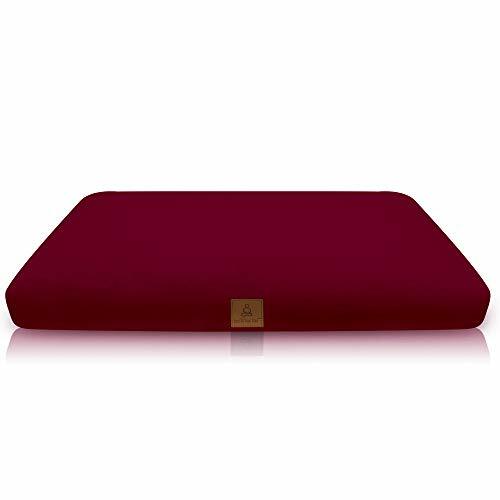 If you like a larger, but portable cushion, you can get a foldable meditation cushion like the one shown above. It can be folded out flat or you can fold it so that there’s some back support (which will only work against a wall). You can also fold it in half for more elevation which can offer more comfort as well.